Ofcom has ruled that RT and Alex Salmond breached broadcasting regulations after it was revealed that four out of six tweets read out on the pilot of the current affairs show came from people with a connection either to it or the former First Minister of Scotland. 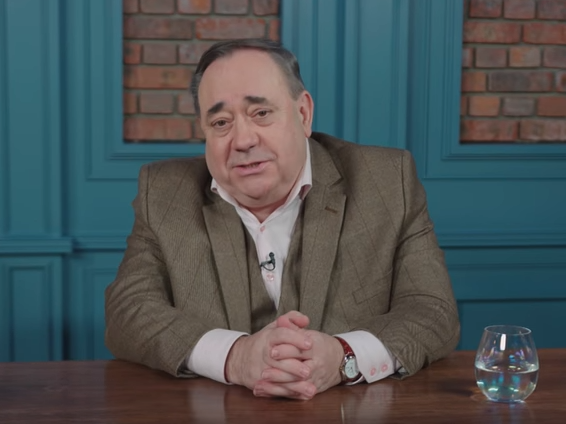 In the first episode of the Alex Salmond Show, which aired on the Kremlin-funded station at 7.30am on 16 November last year, Salmond answered a series of questions which seemingly came from the public. He told viewers he had received “an avalanche” of tweets and emails over the preceding week. UK broadcast regulator Ofcom has ruled the show materially misled its audience after receiving a complaint alleging that the programme “invented tweets presented as real from viewers of the show to direct the debate on his views and terms”. Although only one of the tweets in question was about Brexit, the complainant also suggested this had allowed Salmond “to pretend that he was merely answering questions from concerned viewers about Brexit rather than trying to control the debate”. The first tweet, which asked Salmond why he had chosen to team up with RT, was sent by a freelance make-up girl who had been involved in rehearsals for the show. The second question, about the meaning of Sláinte – Salmond’s production company is called Sláinte Media – had been informally asked by a freelance cameraman and an acquaintance of one of the producers’ technicians. The cameraman was not involved in the production of the first two episodes of the current affairs show, but was working on the third and had given his Twitter handle in the hope of receiving an answer. 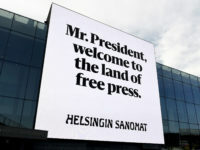 TV Novosti, the licence holder for RT, told Ofcom the producers thought it was an “amusing and innocuous question” that viewers would want to see answered, and presented it as if it had been tweeted. The cameraman subsequently tweeted his question after the broadcast. The third question, which asked Salmond if he would stop Brexit if he were Prime Minister, came from an acquaintance of the politician as a letter to his office with a request to use a Twitter handle instead of his name. 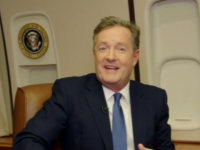 Finally, the question “when are you getting President Trump on the show?” had been prepared by the series director for the show’s dress rehearsal, and was included in the final broadcast due to an “editing mistake”. TV Novosti denied the audience had been misled and told Ofcom the six questions had been chosen for their “content not their origin” and that all of them had been “volunteered by the individuals concerned”. They said therefore that none of the questions had been devised as part of some “propaganda plot”. The company also said that from an editorial point of view, the identity of the people putting the questions to Salmond was not relevant, adding the purpose of the segment in the first episode “was not to shape in any way the content which was to follow in that programme but to demonstrate how the viewer response feature would work in future programmes”. However Ofcom said Salmond was “clearly” addressing the audience with his opening comments, when he said: “But first to a really important part of the show – when I get to hear from you. “Over the past week and even before the show has started we’ve received an avalanche of tweets and emails. And can I just say to the media – thanks folks for all the publicity. Let’s just look at a few of them”. Sláinte Media maintained that any connection between the people who asked the first three questions and the show was “completely tenous or non-existent”. It added that it would not invent or make up tweets under “any circumstances” and that the tweets and emails were all authentic, from “real people who were going to view the show”. After Ofcom provisionally found a potential breach of rules on due accuracy, Sláinte Media said it had been “one inadvertent mistake” in a “very first show” and that to find it in breach of regulations would “lower the bar to a level which jeopardises freedom of speech under the European Convention on Human Rights and would call into question the proportionality and fairness of Ofcom’s decision making”. In its decision, Ofcom said: “In Ofcom’s view, the fact that this was the first episode in the series did not lessen the likely high level of trust that viewers would have had in The Alex Salmond Show, as a current affairs programme. “Neither was it lessened by the fact that the questions in the tweets and emails read out in this particular episode related to ‘lighter’ non-political matters. “In summary, Ofcom considered that viewers would have been under the impression that the four questions quoted by Mr Salmond had originated from members of the public wholly unconnected with the programme or with him, when this was not, in fact, the case. In response to the ruling, a spokesperson for RT said: “This was a notable and worrying example of Ofcom’s orchestration of the media in this matter by publicising, without notice to RT, its provisional findings for its decision in this case in a statement made on 18 April. “This was before it had heard, let alone had time to consider, RTs representations on its Preliminary View. Mostly people have been says that it is the type of the video game but it is a puzzle game that you can played in single player and you can know all the connection of this game has been downloaded free without getting any cost. ‘Make up girl’? Was she a child?